The next precision match will be on . All calibers are welcome. Shooters will need at least 40 rounds for the match. Sign up begins at 8:30 match begins at 9 A.M. We are back to summer hours.. Range is closed due to safety reasons. Held annually on the second Thursday of December. 28 Nov 2018 !! RANGE CLOSED !! 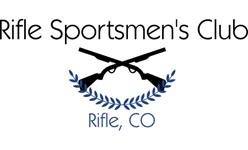 29 Oct 2018 GARCO SHERIFF Training - Members - steel targets only! 24 Sep 2018 GARCO SHERIFF Training - Members - steel targets only! 26 Sep 2017 !! RANGE CLOSED !! 23 Apr 2016 RANGE CLOSED: 7 a.m. to 5 p.m.
22 Nov 2015 TRAP TURKEY SHOOT !! 23 Nov 2014 Trap Shoot: TURKEY SHOOT! !